All of us must have heard the phrase ‘Quality is above Quantity’ a number of times in our lives. Be it our elders, teachers, friends or bosses; someone at some point utters these words with regards to different contexts. One might think that this phrase is relevant to the current professionals from various fields. Although there is no denying this, I feel it has been relevant since ages; since thousands of years ago. Yes, I am talking about the Mahabharata. There is a huge and obvious example of ‘Quality above quantity’ in the epic. Strangely, I haven’t heard or read anyone referring to this event in the context of this phrase. Or maybe many must have drawn a link of this incident with the phrase; such is the magnanimity of the many events of this epic. The episode I am talking about took place much before the commencement of the Great War of Kurukshetra between the Pandavas and Kauravas. After the war was announced and the preparations about the same were on in full swing, Duryodhana, the evil antagonist, and Arjuna, the righteous Pandava, visited Lord Krishna to ask for his assistance in the war. Krishna said he can either offer himself weaponless or his huge army (with weapons) to any one of them. 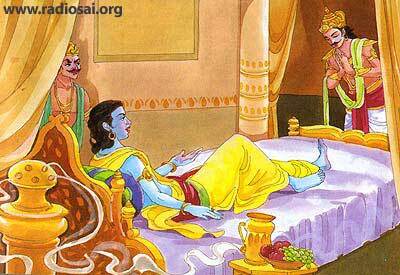 As Duryodhana was the first one to arrive, he was given the opportunity to choose first. Despite knowing Duryodhana’s evil intentions, Krishna agreed to help him too since it was against the dharma for a Kshatriya to say no to a relative. We all know how materialistic Duryodhana was. For people with a materialistic mindset, numbers matter the most. In fact, their mindset always forces them to judge people and situations on the basis of numbers. Therefore, without giving it a second thought, Duryodhana chose Krishna’s army and was delighted about his choice. On the other hand, Arjuna too was immensely pleased for getting the services of Krishna, although without weapons. Arjuna’s mind was unlike Duryodhana. As he didn’t measure things in terms of numbers, he very well knew the importance of having Krishna on his side as his charioteer. He knew Krishna alone is many times mightier than any army in the world. The result of Duryodhana’s choice was devastating for the Kauravas. In fact, we can even infer that the biggest turning point in the Great War of Kurukshetra arrived much before it commenced. A change of choice by Duryodhana would have turned around the entire result on its head. However, some people do believe that if Duryodhana had chosen Krishna, the latter would have either convinced him against fighting the war or would have still ensured a victory for Pandavas. I too would like to believe it. So there we are! We have had the biggest example of ‘Quality above quantity’ thousands of years ago, which is relevant even today and will be as long as the earth exists; such is the timelessness of the epic. In today’s age we have gadgets for almost everything. The basic aim of every gadget or machine is to save our time and at the same time achieve more perfection. However, we had more contentment and free time when we were less dependent on gadgets. The number of TV channels today is well above a thousand! But we were more satisfied when there was just one channel or a handful of channels. And despite such huge number of channels, many are seen spending their time just flipping channels as they aren’t satisfied with any. The same goes for movies. The numbers of shopping centers and shopping malls have increased rapidly over the years. People are also seen indulging in shopping like never before. The reason for this is their lack of satisfaction from whatever they buy. Although he or she is happy initially after buying something, the satisfaction derived out of it lasts only few moments, forcing them to shop more and repeat the cycle. On the other hand, people were more satisfied when they used to spend on simple items with less frequency. Since a decade or so, we have also been witnessing an overdose of cricket. Obviously, this had had a great impact on our satisfaction derived from the sport. Plus, the emergence of Indian Premier League (IPL) made matters worse by staging around 80 matches in less than two months! And since it is becoming more and more a batsman’s game, the value of a century or six-hitting has reduced. For how long do we now feel happy when a batsman scores a 100? In today’s social media savvy era, we have hundreds of friends. But how many are there really with whom we can share our heart out comfortably?